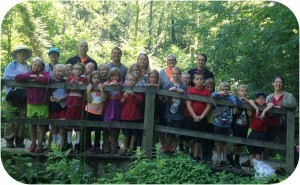 Camp Green visited Ouabache (Wabash) Trails to explore nature and learn about wetlands with park staff and volunteers. Campers in grades K-3 searched the woods and the creeks on Trail 7 on a wetland scavenger hunt. Tasked with finding items including an animal track, poison ivy, an insect-eaten leaf, and evidence of people, the campers explored the trail, identifying insects and plants along the way. Campers then raced cork boats in the creek to learn about natural water flow and buoyancy. The boats were made out of simple bottle corks strung together with a rubber band and the sail was made out of a toothpick and a colored construction paper sail. 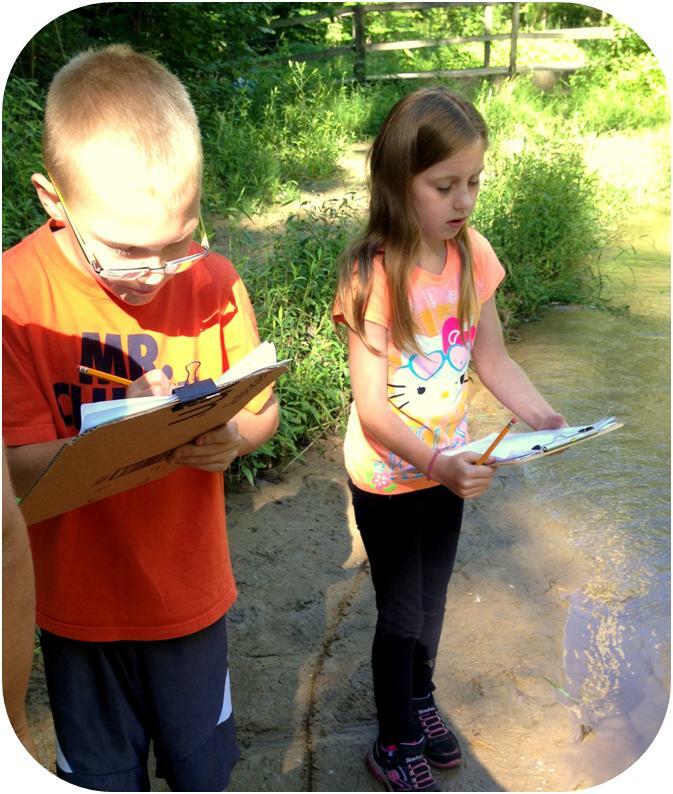 The campers tested them in the creek to see how fast they moved and if they would become stuck in shallow water or on twigs or other debris. The campers took their boats home and the volunteers encouraged them to try other water experiments with friends and family.